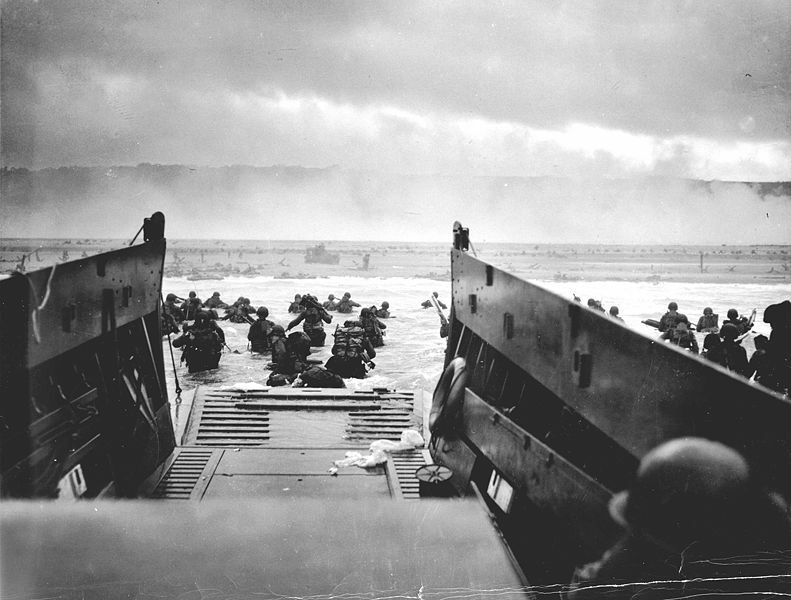 U.S. troops on D-Day at Omaha Beach. The greatest amphibious invasion the world had ever known. During the first half of 1944, most of southern England, including Tilbury and Chadwell was a military restricted area. As D-Day came closer, the area was packed with military personnel and vehicals waiting for the launch of the invasion of France – map from 1944. Tilbury also played a part in two other projects essential to the success of the Normandy campaign – PLUTO and Mulberry. PLUTO (Pipe Line Under The Ocean) was the installation of a cross channel pipe line to supply petrol for the invasion forces. Six large drums, each with 70 miles of pipeline were put together at Tilbury before being deployed. Mulberry was the code name for pre-fabricated harbours that could be used to resupply the food and ammunition needed in France. They were assembled at Tilbury dry dock (and at Southampton) before being towed across the channel. I lived Maple Road Grays during the war. I was only small at the time I can remember the despatch riders making sure the road was clear before the conveys came to queue along Manor Road to cross Jumbo Bridge into the dock . The DR’s were the signal for the local ladies to put their kettles on and make buckets of tea for the troops as they queued to wait their turn. This seemed exciting to the kids at the time sometimes up to 50 lorries would be lining up and this could happen up to e 3 time a week and I don’t think us small ones realized what was truly going on. My late uncle told me that after the War thousands of lorrys,jeeps bikes and other ex war vehicles were brought back to the UK through Tilbury and for months the fields from Dock Road,Marshfoot and St Chads Road had all these vehicles parked up until they were sold off to construction companys. He and his mate took an army bike off the back of one of the lorrys and roared off through Little Thurrock until the local copper stopped them in the Broadway.I think it was a 10 Shilling fine. Does anyone else remember these fields full of trucks or have any relations mentioned them when reminiscing about the war and any pictures.